The locals love this slice of rugged paradise and it’s really not hard to see why. From the majestic Mount Taranaki to the award-winning Coastal Walkway there’s so much to discover. Mighway recommends at least 2 days here. Mount Taranaki, also known as Mount Egmont, is a dormant volcano, with the last major eruption occuring in the mid 1600s. The treks are best in summer and autumn, but well-experienced climbers with gear may want to take on the steep inclines when they're icy and snowy in winter. Mount Taranaki has one of the most symmetrical cones in the world, meaning it's steep on all sides. Visit Tahurangi Lodge, or go further up to the Dawson Falls, which features an 18-meter waterfall, to a variety of different heritage sites that include one of the world’s oldest operating generators, and the historic Camphouse on Mt. Egmont. R&R Campers - "Top Dog"
The TARDIS - Named as my 13 year old son is obsessed with Dr Who! Backed by TH2 and their combined decades of experience in the tourism and motorhome industry, Mighway allows you to rent your vehicle to discerning travellers so you can earn money and share the experience. Mighway offers two levels of service to best suit your needs, Mighway's Local and Managed services. Simply choose your level of service - whether it's the hands-on Local service, or hands-off Managed - and we'll take good care of the rest. Mount Taranaki is New Zealand's most perfectly formed volcano. It is around 120,000 years old and last erupted in 1775 and volcanologists agree that the mountain is 'dormant' rather than extinct. Often described as New Zealand’s most climbed mountain, Mt Taranaki provides non-mountaineers with an achievable summit challenge but it’s not to be taken lightly. However, the weather can change very fast and climbing the now dormant volcano is a serious undertaking that should not be underestimated. This tramp is both technically and physically difficult and should only be attempted by experinced hikers with proper equipment and in good weather conditions. 6.3 km one way return via same track. It takes 8-10 hours to complete - up 5-6 hour; down 3-4 hour. The best time to climb Mt Taranaki is from January to mid-April when the slopes are bare of snow (though ice remains year round in the crater). You will be in an alpine environment which means there’s a good chance you will experience heavy rain, strong winds, snow and freezing temperatures even in the height of summer. You will need warm and waterproof clothing, as well as a good pair of tramping boots. There is no access to water on the climb so take enough to last the whole day. This will be a very long day so make sure you leave early in the morning to ensure you have enough daylight hours to complete the tramp, and pack a head torch just in case. In winter and spring conditions snow and ice on the slopes requires mountaineering experience and equipment and a different route into the crater than described below. You are strongly advised not to climb in winter and spring condition unless you have appropriate experience and equipment and knowledge of Mt Taranaki. North Egmont to Tahurangi Lodge (1,492 m). Time: 1 hr 30 min - 2 hr. The summit track begins above the North Egmont car park adjacent to the red Camphouse building. Walk through the small "kissing" gate and wind up the gravel road to Tahurangi Lodge (private). Sections of this track are very steep. There is a public toilet 100m below the lodge. Tahurangi Lodge to the summit (2,518 m). Time: 3 - 4 hr. The track passes in front of the Tahurangi Lodge and continues upwards, via the poled route through the rock covered Hongi Valley. A series of steps leads out of the valley onto the steep scoria slopes. Take care on these slopes as trampers above you may dislodge rocks. The scoria slope continues west of the Snow Valley to the Lizard (2,314 m) a prominent rocky ridge which leads up to the crater entrance. Sections of this route involve clambering over rocks. The route then crosses the crater ice to the final short climb up to the summit rock (2,518 m). Warning: There is ice in the crater all year round. Crampons and/or ice axe may be required to cross the crater at any time. Mt Taranaki has great spiritual significance to local Maori: the crater and summit is the sacred head of Taranaki, the rocks and ridge are his bones, rivers his blood and plants and trees are his cloak and offer protection from the weather. Respect the mountain. Do not stand directly on the summit stone, and do not litter or camp on the summit. The Mount Taranaki Summit Track is in the Egmont National Park in Taranaki. The track access point is at the North Egmont Visitor Centre, approximately 30 min drive from New Plymouth. Drive south on SH3 to Egmont Village and turn right onto Egmont Road. North Egmont is at the end of this road. Mt Taranaki has changeable and unpredictable weather and make sure you check the official Mt Taranaki forecast at MetService.com before you go or phone the MetPhone mountain and ski service line 0900 99 24. In winter conditions avalanches may be an issue so get the latest avalanche advisory before you go (external site) (New Zealand Avalanche Advisory website), and carry a transceiver and self rescue equipment. As with all walks in New Zealand make sure you leave your intentions with a trusted contact and let them know when you’ve finished. You can find out more about planning your trip at the Mountain Safety Council Website. Brooklands Zoo is a FREE, family focused zoo which is home to a diverse variety of species including farmyard animals, reptiles and amphibians, oriental small-clawed otters, meerkats, a brolga, Bolivian Squirrel Monkeys, Capuchins and Cotton-top Tamarins as well as a selection of colourful birds housed inside a walk-through free-flight aviary. We have more than 113,000 visitors annually and look forward to seeing you! Hurworth was a settlement established near New Plymouth in the 1850s. Of the six houses in the settlement four were destroyed in the New Zealand Wars and another lost to fire. Built in 1855-56 by pioneer settler and future four-time Premier of New Zealand, (Sir) Harry Atkinson, this modest cottage (also christened Hurworth) is the only remaining building of the small Taranaki settlement that flourished during the 1850s. Harry Atkinson, having learned from a sawyer, cut the wood for it himself and by 1857 the house was finished in its original form. The outbreak of the Taranaki War in March 1860 threatened the idyllic lifestyle at Hurworth, with Harry sending wife, Jane and their children to safety in Wanganui after burying their valuables. Harry joined the Taranaki Rifle Volunteers and fought in many battles around the province over the next few years, rising to the rank of Major with the Forest Rangers. He had become involved in politics, and in 1861 he became the member in the House of Representatives for his local Grey and Bell constituency. His political career rose to greater heights, and he held a number of provincial positions including MP for New Plymouth and Superintendent of Taranaki, and served as Minister of Defence, Minister of Crown Lands and Immigration, and Colonial Treasurer. In 1876 he became Premier of New Zealand, an office which he held hold four times between then and 1891. Atkinson was away from Hurworth for much of his political life, with the house considerably changed and enlarged before his death in 1892 when the property was sold. Hurworth is typical of early settlers’ dwellings in its simplicity – rectangular in shape, clad in vertical board and batten with a pitched roof and French doors opening onto a four-sided veranda. The cottage was donated to the New Zealand Historic Places Trust in 1967 and restored to its original specifications. It was during this time graffiti from the New Zealand Wars was uncovered - which continues to fascinate visitors today. Sited in New Plymouth, Taranaki, between the majestic Mount Taranaki and the wild Tasman Sea, Puke Ariki is a place of wonder, of excitement, of discovery and adventure. Governed by the New Plymouth District Council, Puke Ariki is a triumph of the partnership between central government, regional government and businesses that encapsulates a spirit of generosity, vision and co-operation. Four permanent exhibitions explore Taranaki’s past, present and future – telling the stories of the people and the region through displays, technology, multi-media and the people themselves – so there is always something new to learn and amazing to see. Puke Ariki is currently on a journey of change to update and refresh the long-term galleries - check out the plans for the future here. Sit back and enjoy this short episode of “On the Road” where Tim and Leo venture through the Taranaki region, and don't forget the Forgotten World Highway! Tim and Leo visit the Republic of Whangamomona, and give you a small taste of what the region has to offer. You can travel along the Forgotten World Highway from start to finish, Stratford to Taumarunui, and treat your eyes to some spectacular views. You'll know as soon as you reach Whangamamona, and more specifically by its welcome sign, and in our opinion, a great stop for that perfect Instagram, wahoo! So, book a camper with Mighway and see for yourself. Don't forget to follow our series on YouTube, and be inspired for your next adventure in New Zealand. Enclosed by stunning black sand west coast beaches and the majestic summit of Mount Taranaki, New Plymouth TOP 10 Holiday Park is a terrific place to set out from each day. New Plymouth TOP 10 Holiday Park is situated in the heart of New Plymouth, Taranaki. <br><br> Bring your tent, motor home or caravan and enjoy one of our private tree-lined sites, or stay in a comfortable park motel, self-contained unit or cabin. <br><br> New Plymouth TOP 10 Holiday Park offers you a variety of accommodation to suit your holiday style and your budget. You are assured of a happy stay, and will appreciate the peacefulness of the park and the privacy, you get with the individually-tree lined park sites. 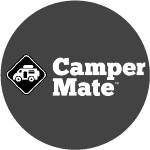 <br><br> A great place to put up the tent, or park the caravan or motorhome. Wai-iti is a unique west coast retreat, located on prime beachfront land, 35 minutes drive north of New Plymouth, Taranaki, New Zealand. The beach, the bush and the sun makes Wai-iti the perfect relaxing environment for holiday, team building workshops, weddings, private functions, conferences and just rejuvenating. <br><br> Dotted in tiny clusters along the beachfront or on terraces overlooking the bay are charming little apartments also one and three bedroom cabins designed to recreate the iconic beach bach experience. <br><br> Wai-iti has a classic Kiwi campsite that has unique container cabins and sheltered powered sites. These all use the communal camp facilities which are clean and tidy. <br><br> Set in landscaped surroundings reflecting the coastal environment amid towering pohutakawas, flax and other natives also includes a six-hole short golf course and a tennis court. <br><br> Licensed cafe open ~ Seasonal hours apply. 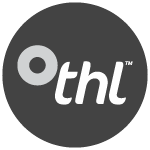 With over 30 years of experience in the global travel and tourism industry, you can trust thl to help you achieve an amazing holiday experience.